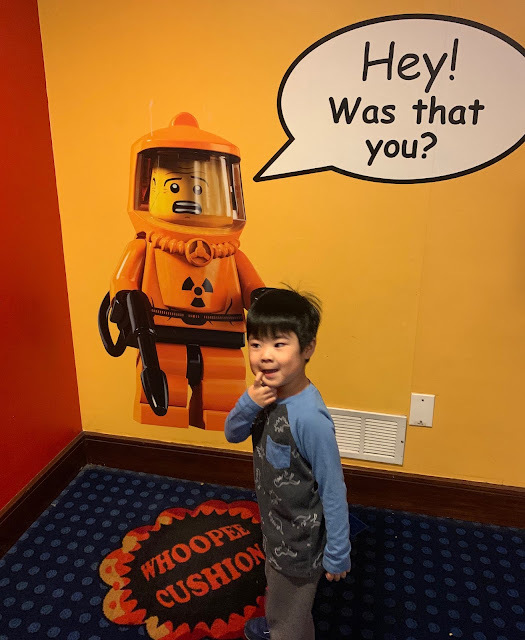 My family just returned from a 3 day visit to Legoland Park and hotel. We had such a great time! 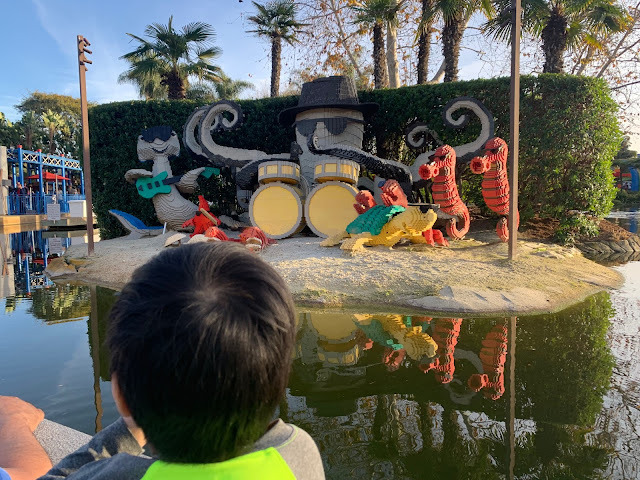 Legoland during off-peak days is such a wonderful place to be. The place was like a ghost town with almost no wait for every single ride. The longest we had to wait was probably 10 to 15 minutes. Legoland had something for everyone. There are plenty of rides at Legoland for kids and adults of any age. Our kids especially loved the slow moving boat rides, Fairy Tale Brook and Coast Cruise. We rode the Legoland Express train ride several times. Our son loved the Deep Sea Adventure submarine ride. Scattered throughout the park are Lego blocks for kids of all ages to play with. There are regular sized Legos for the older kids and big foam Lego pieces for the little ones. Our son loved playing with the build-your-own Lego boats. 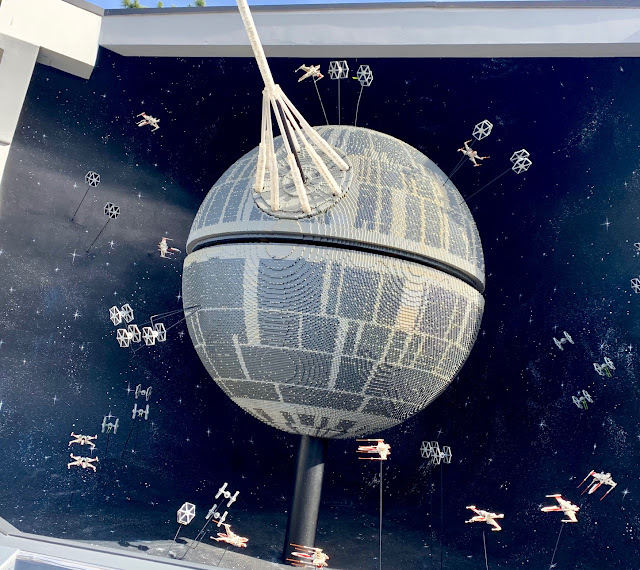 Miniland is an awesome area full of Lego replicas of famous US landmarks and there’s even a Star Wars themed Lego section full of scenes from the Star Wars movies. It’s fun to look at the intricate details of all the Lego models. The Duplo Playtown has little mazes and slides for the kids to run and play around. Kids can let their imaginations run wild with the different activity play sets and Lego pieces here. 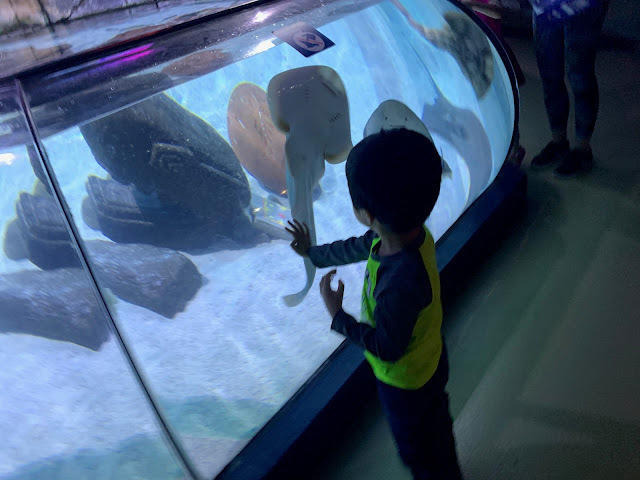 Located right next to Legoland is the Sea Life Aquarium. 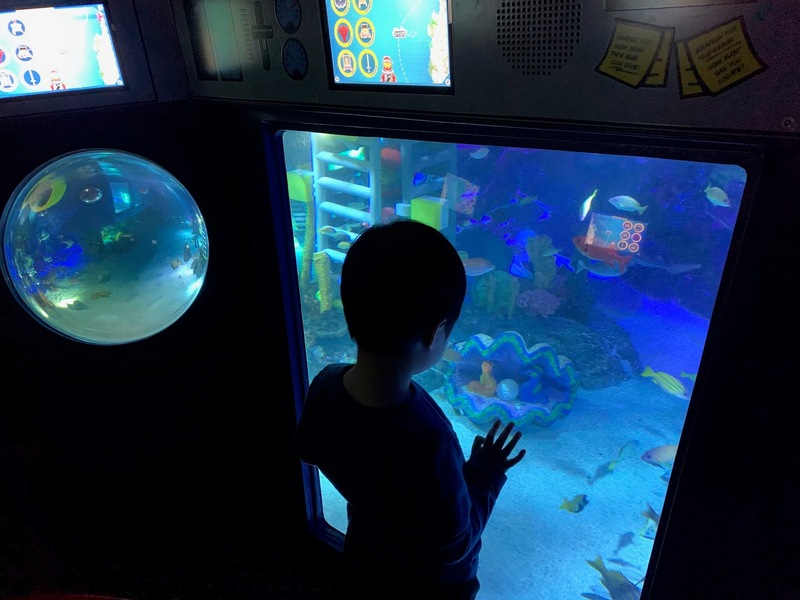 Since our first time at Legoland a few years ago, the aquarium has been revamped and updated. There are plenty of fish, corals, stingrays and sharks here for visitors to enjoy and see up close. There’s also a new interactive shark experience where visitors can learn about sharks up close on a touch projector screen. Legoland hotel is such an awesome place to stay. 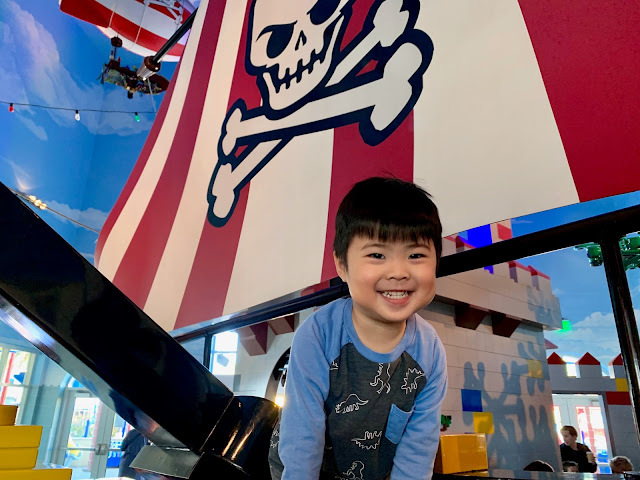 Guests of the hotel can choose between 5 different themed rooms (Ninjago, Pirate, Friends, Kingdom, and Adventure). We picked the Pirate themed room. Inside each room there are custom Lego creations designed to match the theme of the room. Our room had skull and crossbones sheets, decorative wallpaper, and even a treasure box filled with a new surprise each night of our stay! The hotel provided a bucket full of Legos to play with in our room. Legoland hotel guests have other great benefits such as early access (30 minutes to 1 hour) to the amusement park. Breakfast buffet was free for every day of our stay. Breakfast items included bacon, sausage, waffles, potatoes, muffins, chocolate chip pancakes, freshly made omelets, French toast, smoothies, coffee and more. Everything was very tasty and we did not have to wait long to get seated. Free coffee and water is provided in the hotel rooms. The hotel offers plenty of fun little touches. The main lobby has an indoor castle play area, pirate ship and pool of Legos to play with. By the main elevator, there is a big whoopee cushion on the ground that can be activated by stepping on it. When the elevator doors close, the room is instantly turned into a disco party, complete with dance music and a disco ball up above. Every night, kids can enjoy a live dance party with Lego characters. 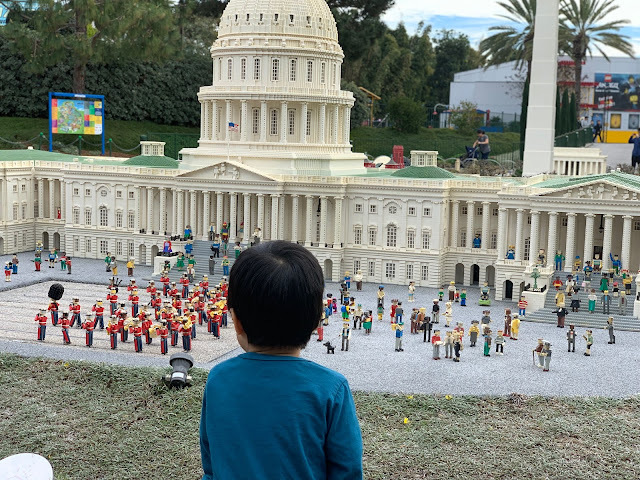 While 3 days at Legoland was pretty tiring, we all had a blast. 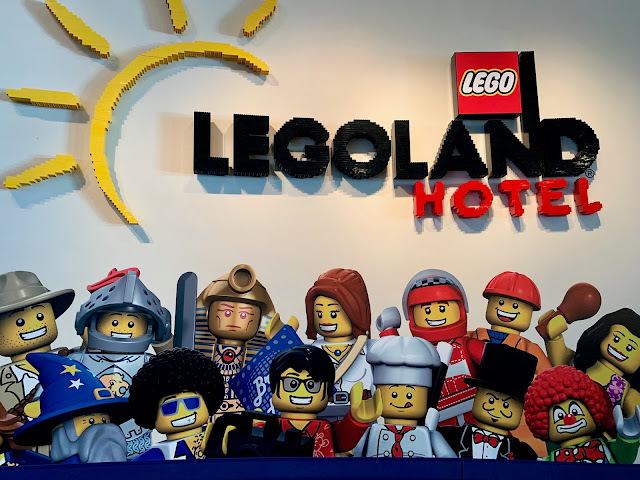 The Legoland hotel has definitely been the most fun hotels we've had the chance to stay at. We are looking forward to heading back to Legoland in a few months!